You are a solar-powered craft. The sun is your death timer. Hurtle towards the sunset at breakneck speed in a futile race against time. 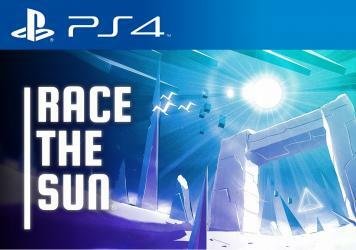 Race The Sun is inspired by arcade games of the past with a focus on high scores, short game sessions, and a sense of pure fun mingled with a nerve-wracking tension. The rules are simple: don't crash, stay in the light, and don't slow down! This is a cross-save, cross-buy title.